Ongoing need for new and creative thinking and robust dialogue on global security challenges related to weapons of mass destruction and disruption. 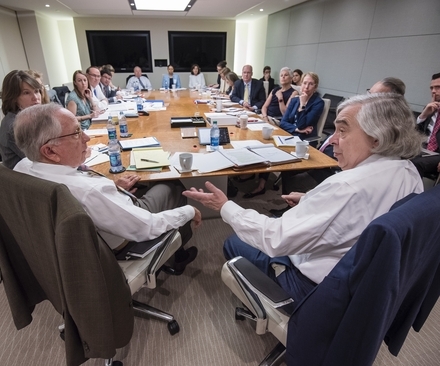 Convene leading experts for on-the-record discussions hosted by NTI Co-chair and CEO Ernest J. Moniz on critical security issues. Thought leaders from across a variety of sectors contribute to new thinking and ideas on pressing global security issues. 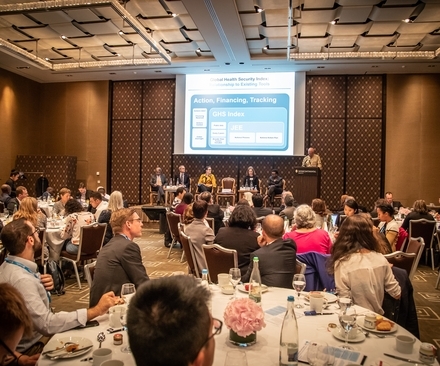 NTI launched a seminar series in the Spring of 2018 to foster new and creative thinking on issues relating to weapons of mass destruction and disruption. 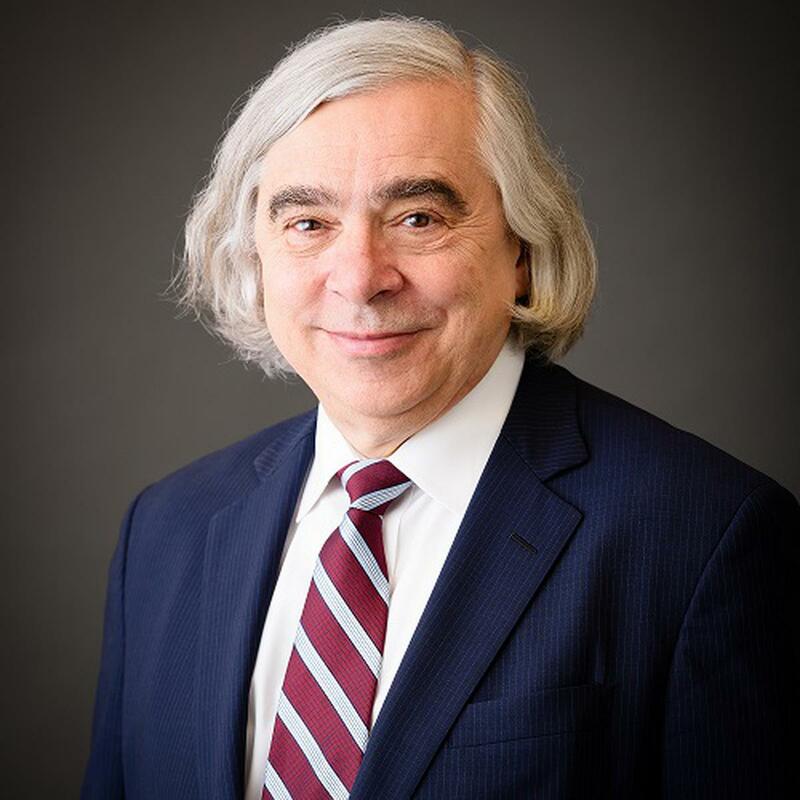 This series of on-the-record discussions in Washington, DC, hosted by NTI co-chair and CEO Ernest J. Moniz features leading global security experts, authors, and industry professionals sharing their perspectives and expertise. The seminar series attracts hundreds of visitors from variety of backgrounds, sectors, and experience levels. 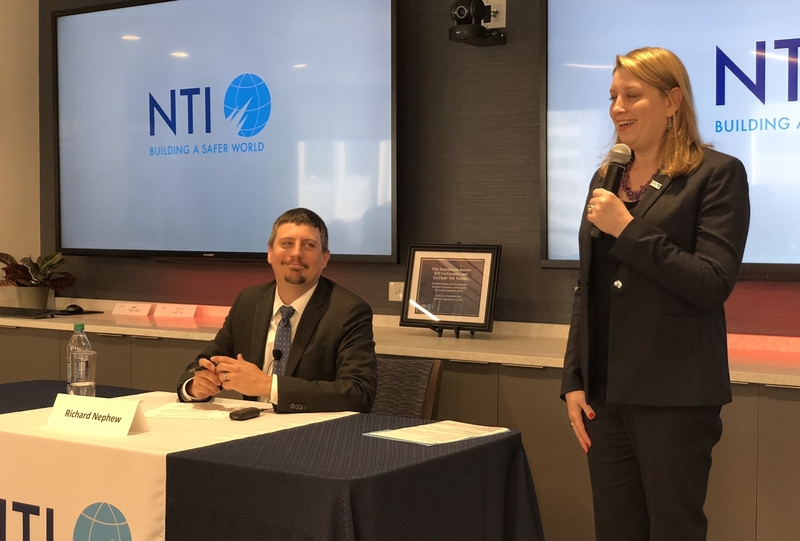 Each seminar event takes a deep dive into a pressing global topic and challenge related to NTI’s work, such as North Korea’s nuclear program, the Iran nuclear deal, biosecurity tech and innovation, the growing cyber security threat, and more. See the links below for detailed information on each of our seminars, including video of presentations when available. On January 31, 2019, Jill Hruby, former director of Sandia National Labs, gave a behind-the-scenes look how at the U.S. national labs conduct the annual assessment of the nuclear weapons stockpile and maintain the capabilities needed to ensure the nuclear deterrent into the future. 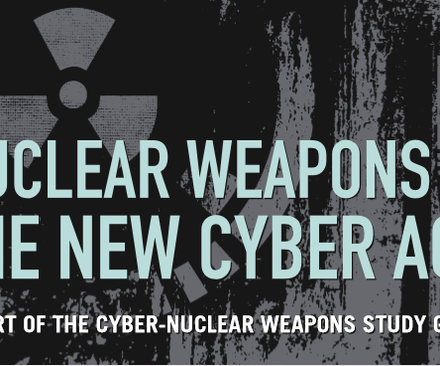 The potential consequences of nuclear weapons use or climate change, to name two of the world’s leading threats, are undeniably terrifying – so why are these concerns not on the forefront of everyone’s minds? 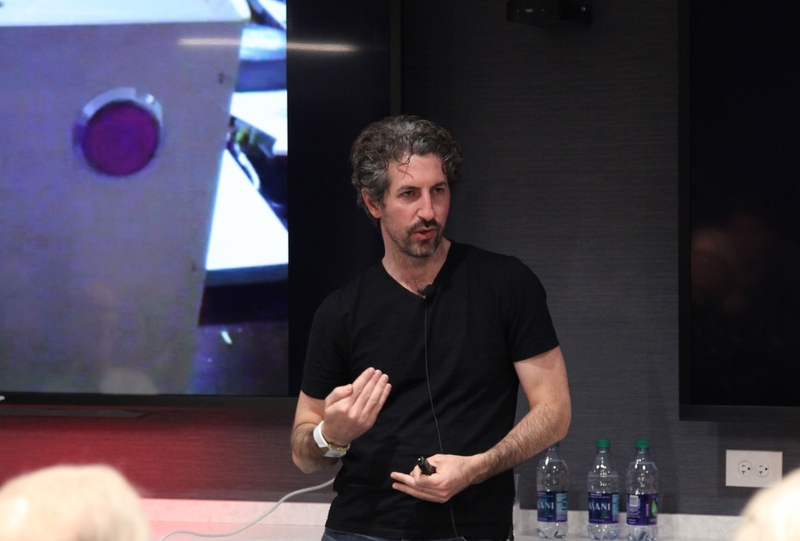 On December 12, 2018, Dr. Moran Cerf, professor of neuroscience and business at Northwestern University’s Kellogg School of Management, headlined the December installment of NTI’s Seminar Series to discuss how the brain processes risk, how risk is studied, and what influences risk perception – all of which have interesting implications for the field of catastrophic risk reduction. NTI hosted expert Michael C. Horowitz, a professor of Political Science at the University of Pennsylvania, for a seminar that investigated the implications of autonomous weapons systems on prospects of a stable nuclear future. On July 25, as part of NTI’s ongoing seminar series, New York Times national security correspondent David Sanger discussed his new book, The Perfect Weapon: War, Sabotage, and Fear in the Cyber Age. 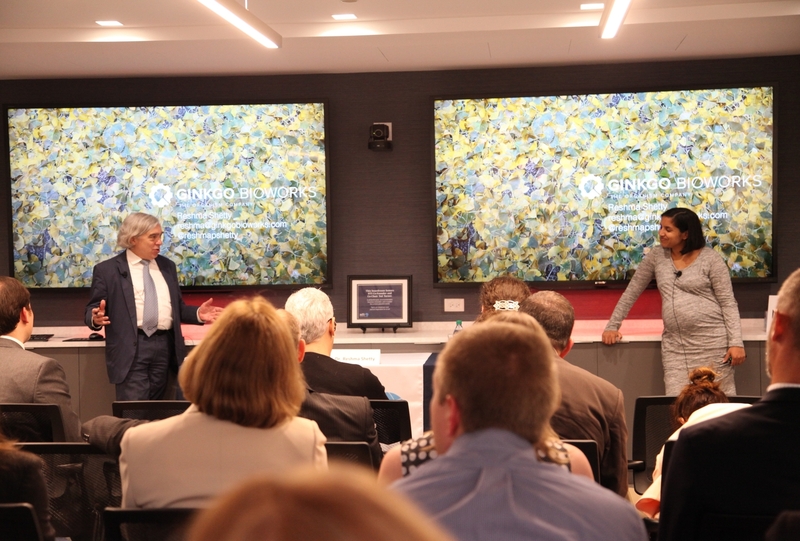 As part of the NTI Seminar series, Dr. Reshma Shetty, co-founder of the organism company Ginkgo Bioworks, discussed the promise of synthetic biology and innovative approaches to counter biological risks in the era of synthetic biology. 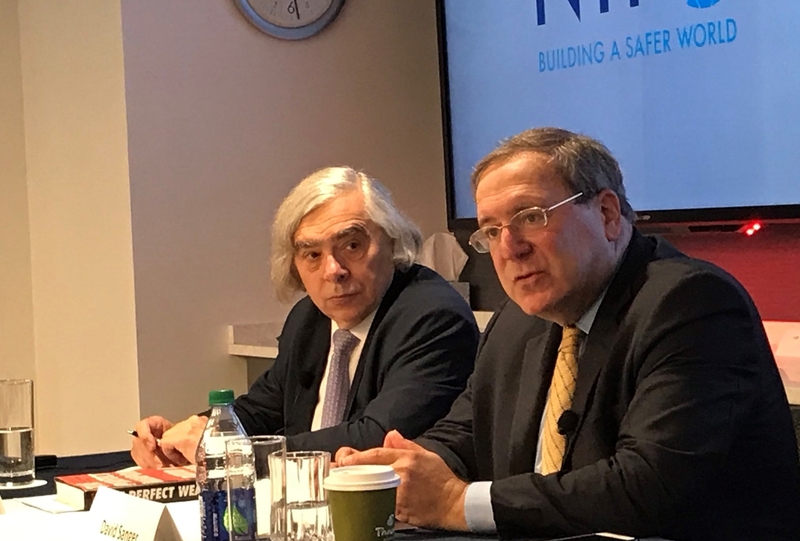 As part of NTI's ongoing seminar series, Richard Nephew, Senior Research Scholar, the Center on Global Energy Policy, Columbia University, outlined his views on the implications of the U.S. withdrawal from the Joint Comprehensive Plan of Action with Iran. 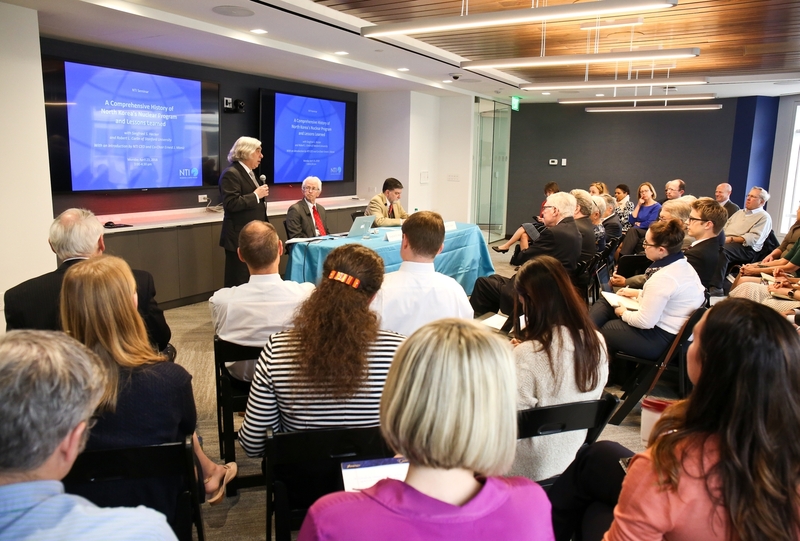 On Monday, April 23, NTI launched its new seminar series with a presentation from Siegfried Hecker and Robert Carlin of Stanford University on the history of Democratic People's Republic of Korea’s (DPRK) nuclear program.